Because I cancled my contract of my vserver, I have to move all the hosted (in most cases empty) pages to a new "place". So the zehrer.net homepage has now this blog as entry page. Step-by-step i will add some static page with useful links. As you may read on the Official Google Enterprise Blog Google+ is now available for Google Apps. I just checked my admin accout and it seems the default settings is "ON". Therefore just jump to the Google+ page and join. 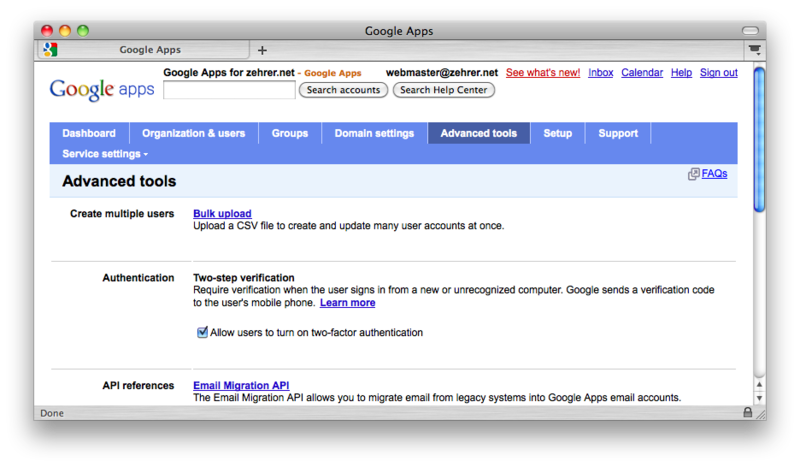 Google published on the Official Google Blog about the "Advanced sign-in" for your Google account". Now this feature is enabled for the domain http://zehrer.net/ and this users too. As far as this domain is using Google Apps for email and several other services, the authentication settings are now enabled the "Two-step verification". 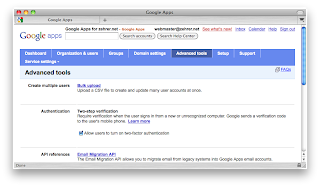 As Google has published, DKIM is now availabel for Google Apps too. To make a small contribution to the fight against spam, all mail of zehrer.net are now signed.